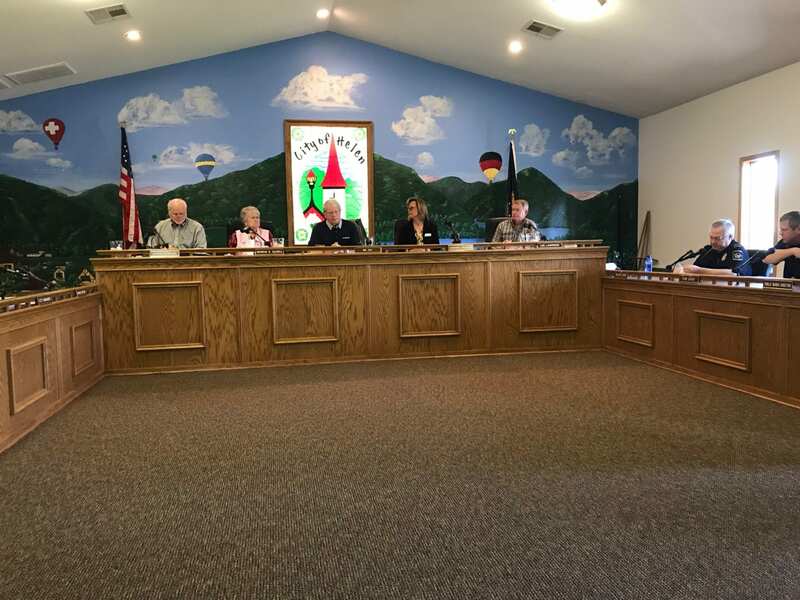 HELEN, Ga. — City Manager Jerry Elkins presented a strong financial report to the Helen City Council at Tuesday’s meeting. The city’s total revenue for the first eight months of fiscal year 2017-2018 was $2,655,456 compared to $2,272,592 for the same period in the prior fiscal year. At this point, the city should have reached 67 percent of its projected revenue for the year. Instead, it has already reached 86 percent. A refund from Georgia Power for over payment of $141,782 is responsible for part of the gain. Expenditures are up slightly from $1,701,197 last year to $1,758,200 this fiscal year. The hotel/motel tax has shown an increase. Last year, the city transferred $404,692 to the general fund from that tax. So far this year, $520,319 has been transferred. Total revenue from the water/sewer enterprise fund is $586,578, an increase of $13,308 over last year. Council unanimously awarded a contract to Square Deal Enterprises, Inc. for the Willow Pond Culvert replacement project in the amount of $26,697.50. The bid to supply material and install concrete sidewalks and two handicapped access points as well as a concrete entry apron at Hardman Trail Connection was awarded to Wilkinson Concrete of Cleveland. The low bid was $18,029 but the cost will be lower since the company overestimated the length of the sidewalk. May 19 as Dedication Day for Veterans Park. No time has been set yet.